2 What’s a Cell Organelle? Humans have organs that do specific, important jobs. 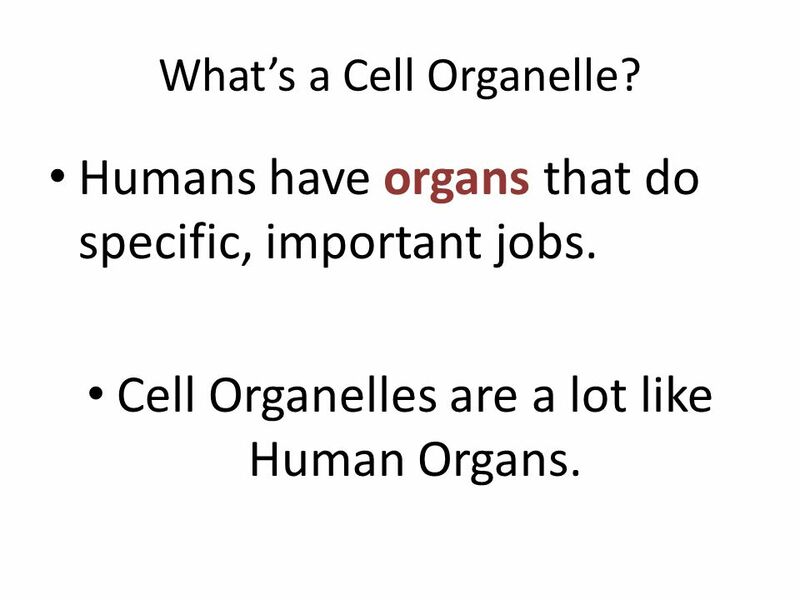 Cell Organelles are a lot like Human Organs. 3 Job: Break down food after you eat it. 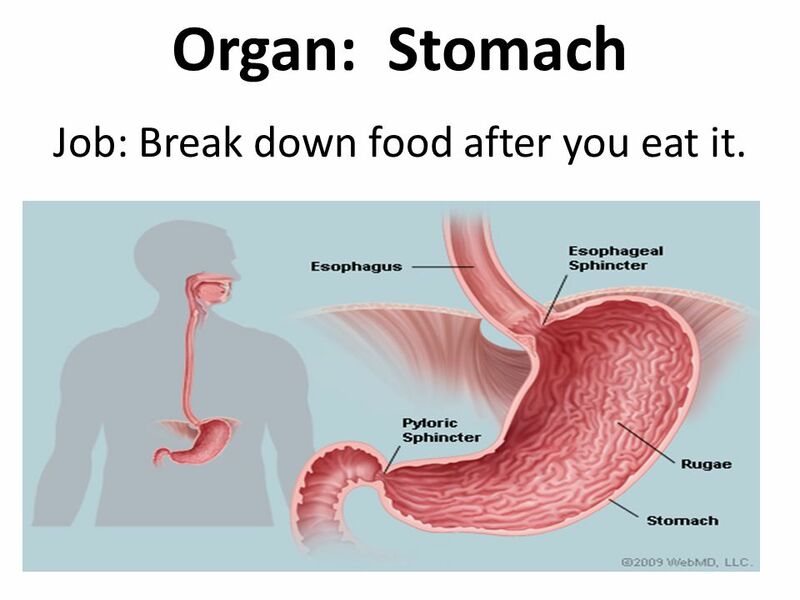 Organ: Stomach Job: Break down food after you eat it. 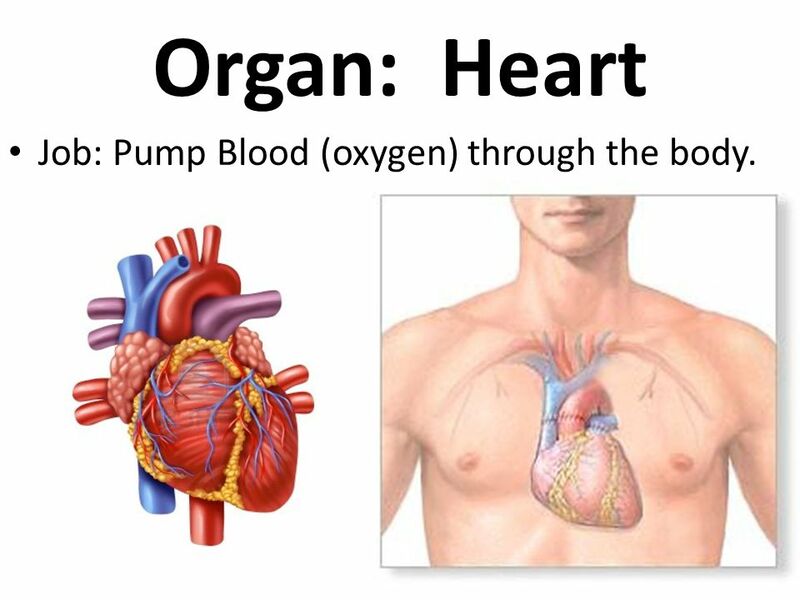 4 Organ: Heart Job: Pump Blood (oxygen) through the body. 5 Job: Clean blood & remove waste from body (pee). 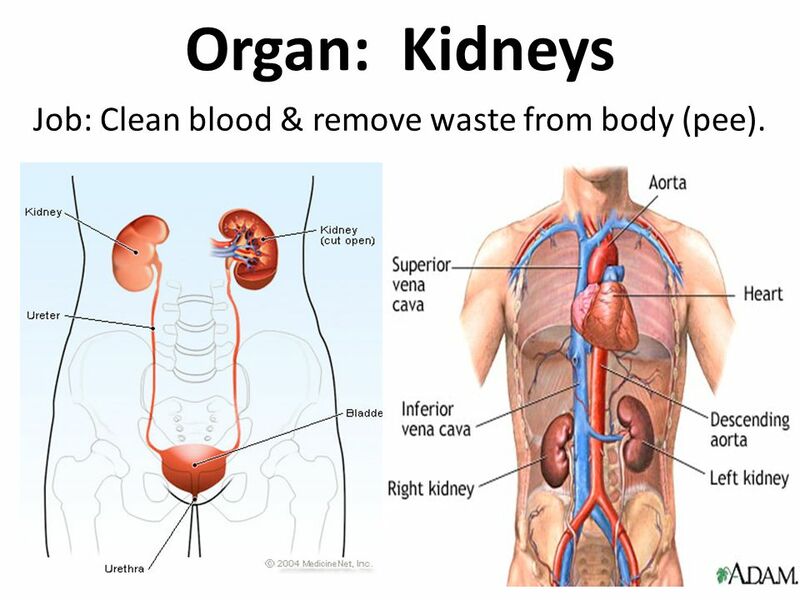 Organ: Kidneys Job: Clean blood & remove waste from body (pee). 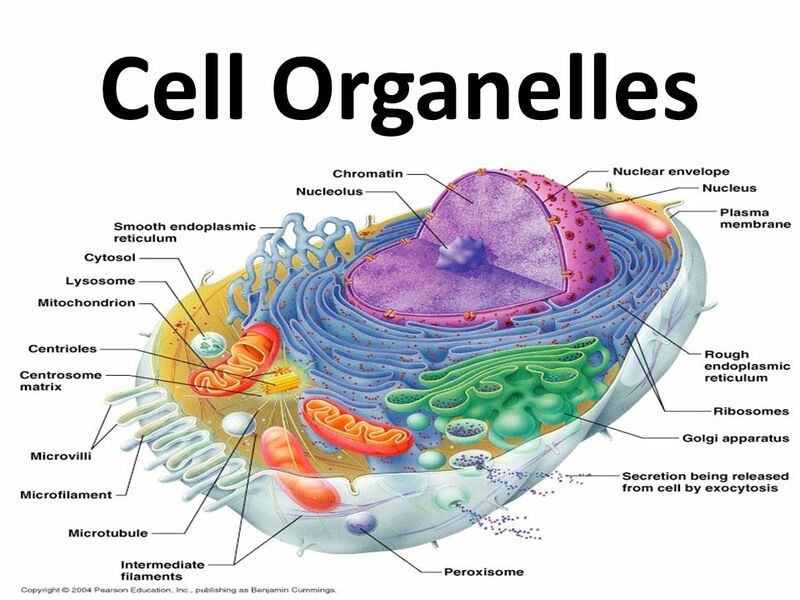 6 What are Cell Organelles? Inside a human, there are organs that do special jobs to keep the human alive. 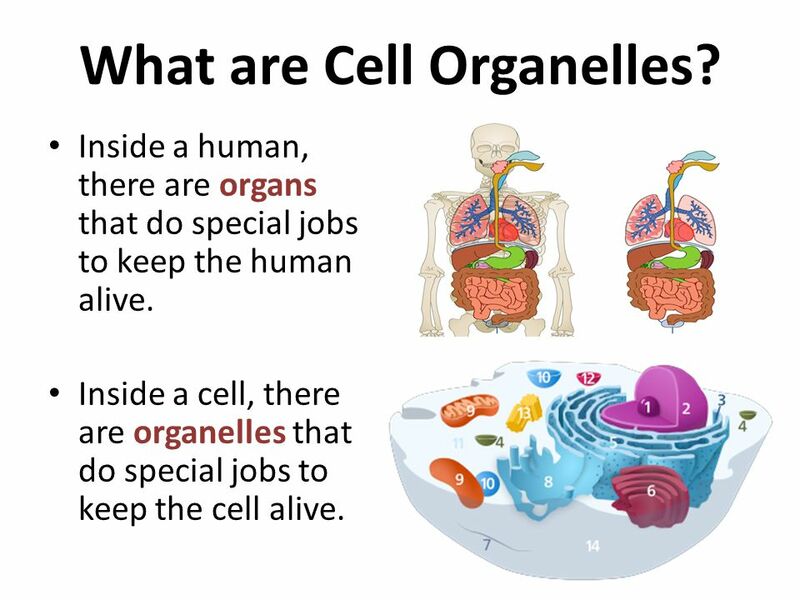 Inside a cell, there are organelles that do special jobs to keep the cell alive. 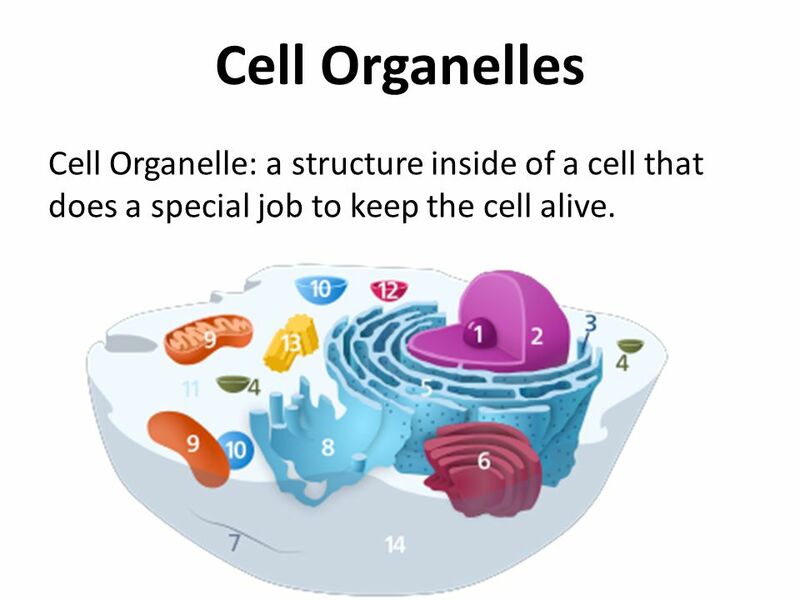 7 Cell Organelles Cell Organelle: a structure inside of a cell that does a special job to keep the cell alive. 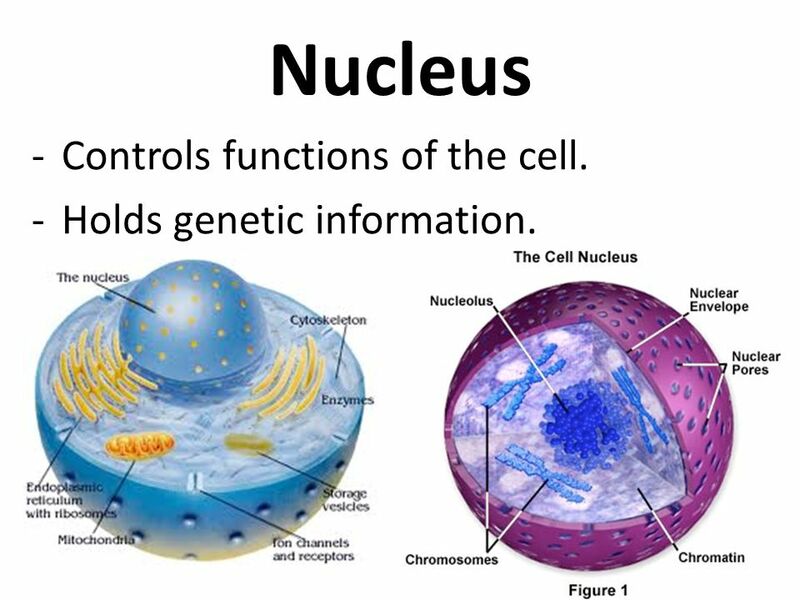 9 Nucleus Controls functions of the cell. Holds genetic information. 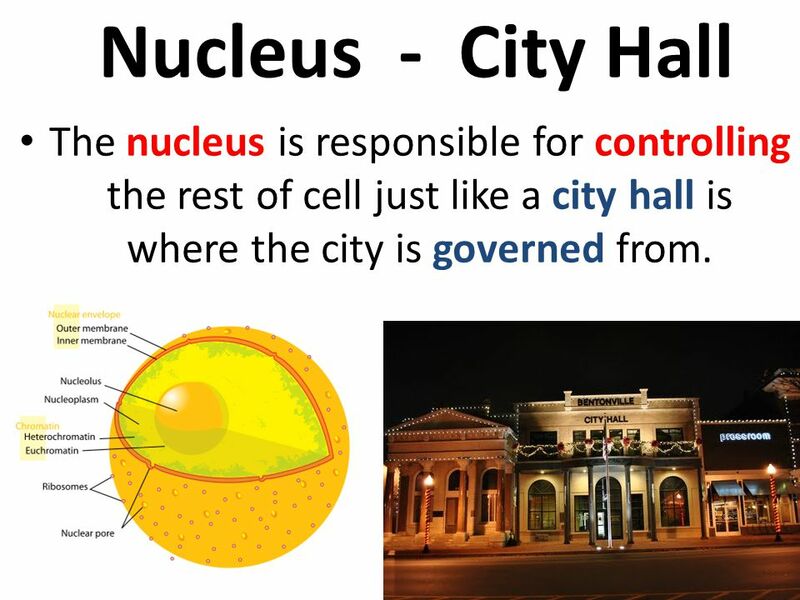 10 Nucleus - City Hall The nucleus is responsible for controlling the rest of cell just like a city hall is where the city is governed from. 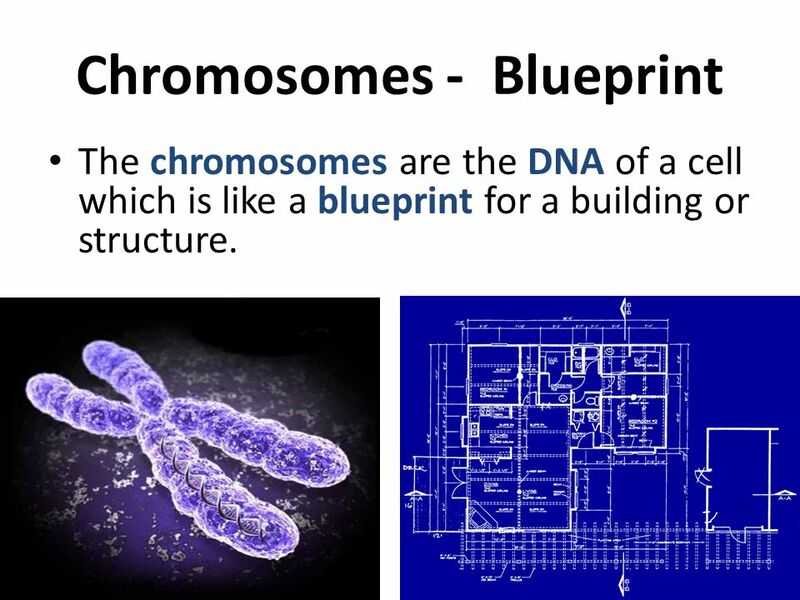 The chromosomes are the DNA of a cell which is like a blueprint for a building or structure. 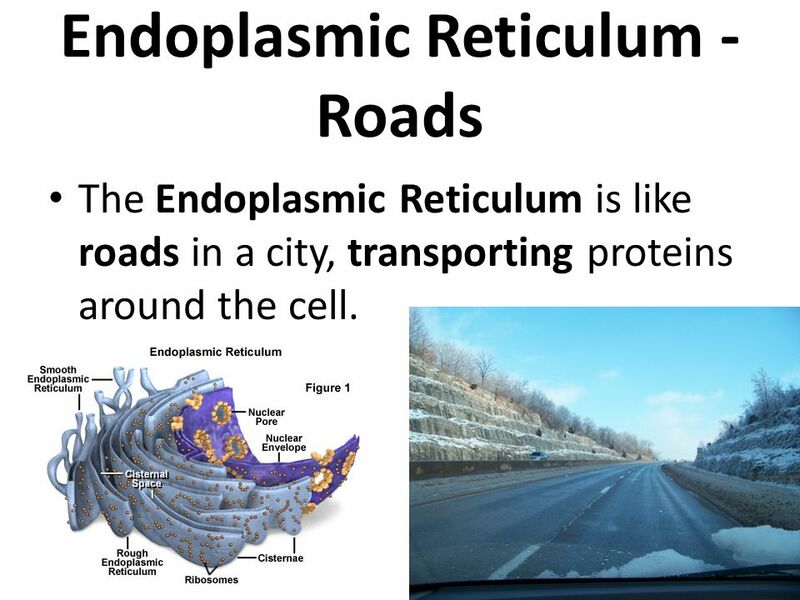 The Endoplasmic Reticulum is like roads in a city, transporting proteins around the cell. 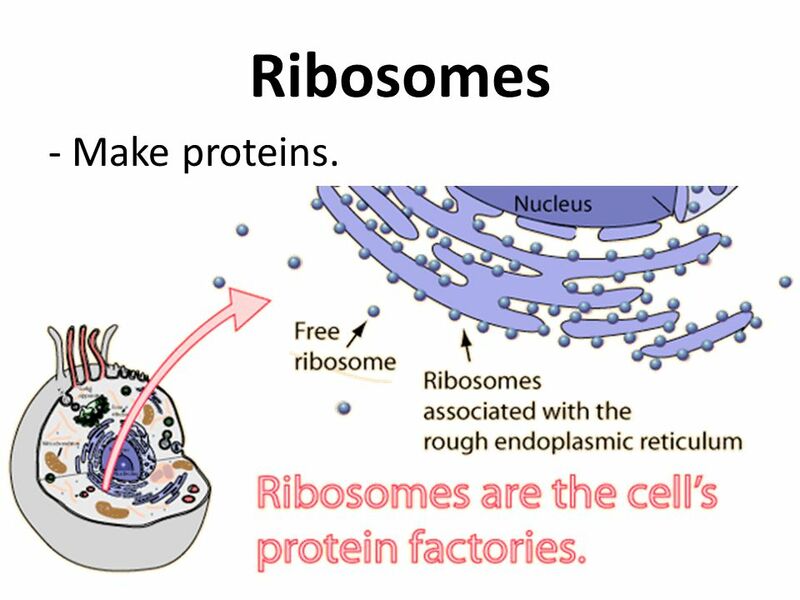 13 Ribosomes - Make proteins. 14 Ribosomes - Shops Ribosomes are like small shops in a city. 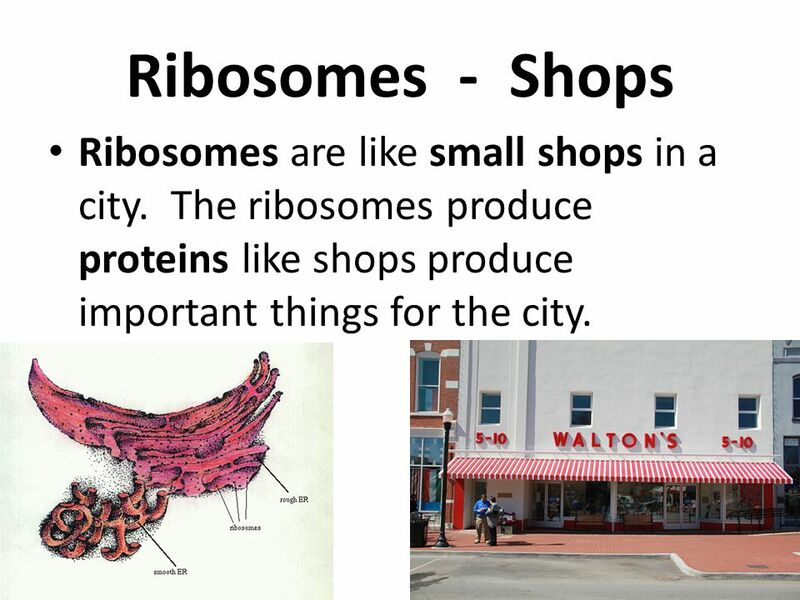 The ribosomes produce proteins like shops produce important things for the city. 15 Receive proteins, package them & send them to other parts of the cell. 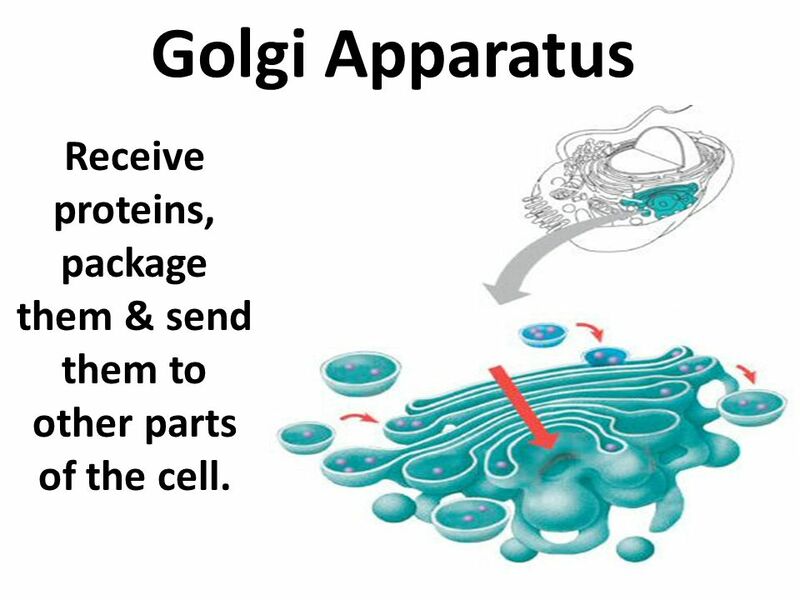 Golgi Apparatus Receive proteins, package them & send them to other parts of the cell. 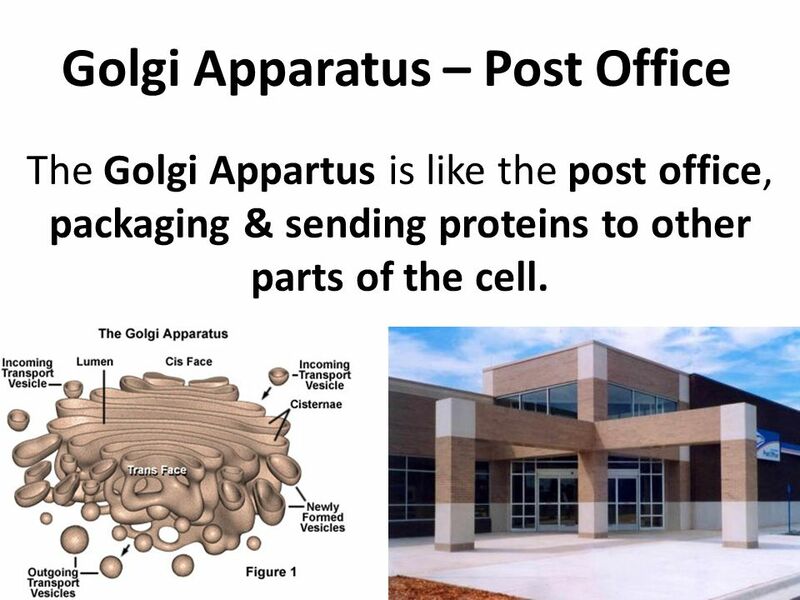 The Golgi Appartus is like the post office, packaging & sending proteins to other parts of the cell. - Makes energy that fuels the cell. 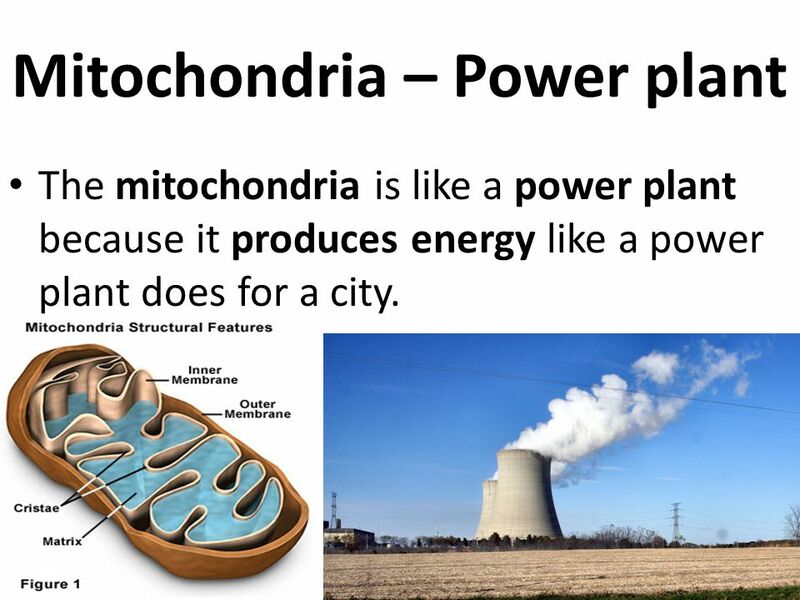 The mitochondria is like a power plant because it produces energy like a power plant does for a city. 19 Regulates what goes in & out of a cell. 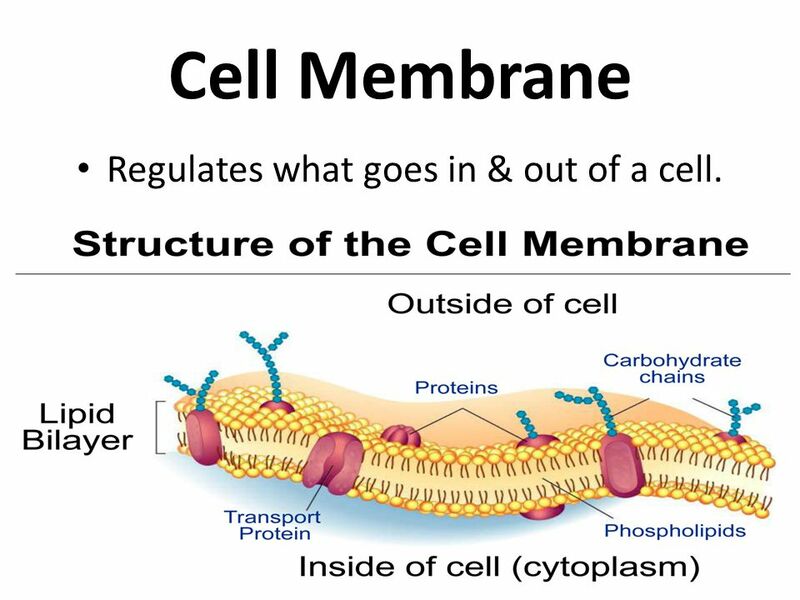 Cell Membrane Regulates what goes in & out of a cell. 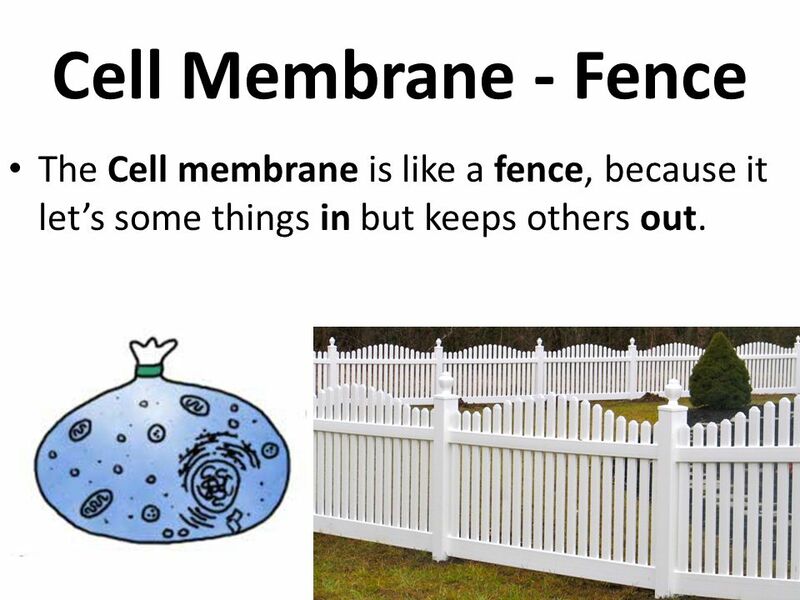 20 Cell Membrane - Fence The Cell membrane is like a fence, because it let’s some things in but keeps others out. 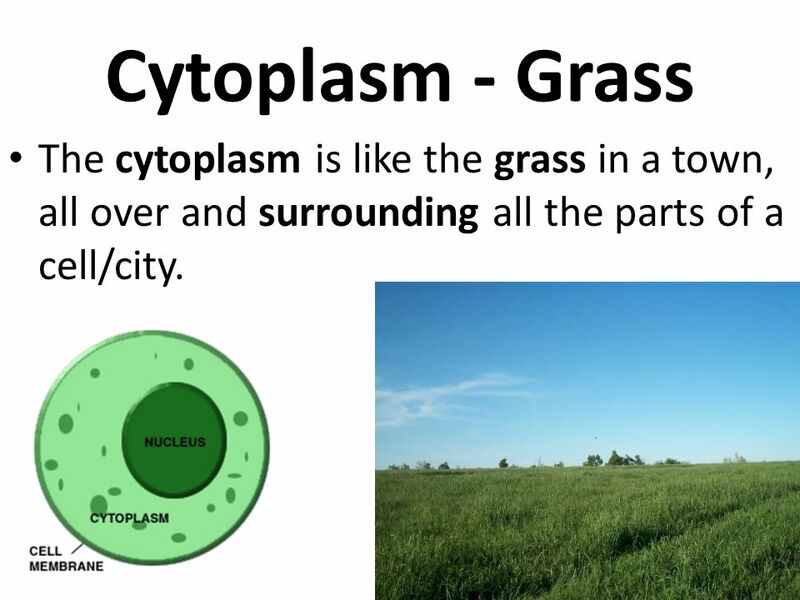 21 Cytoplasm - Grass The cytoplasm is like the grass in a town, all over and surrounding all the parts of a cell/city. 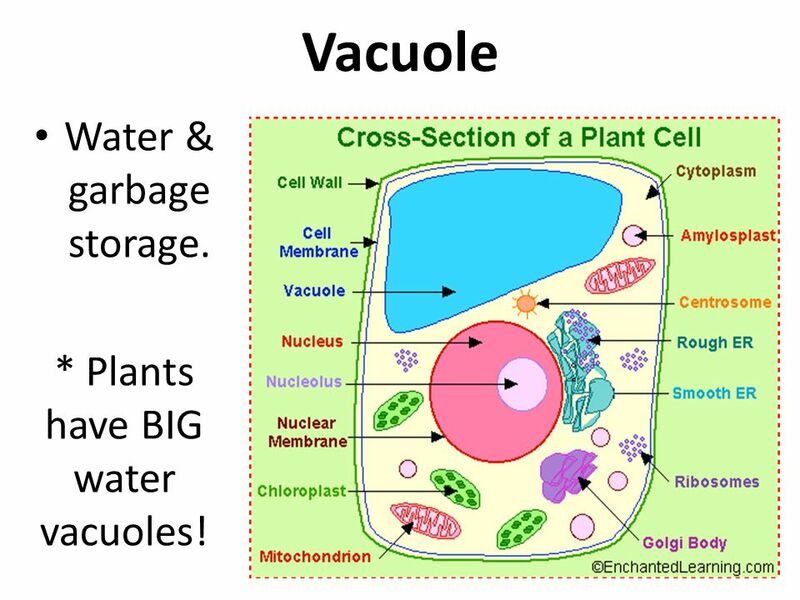 22 Vacuole Water & garbage storage. 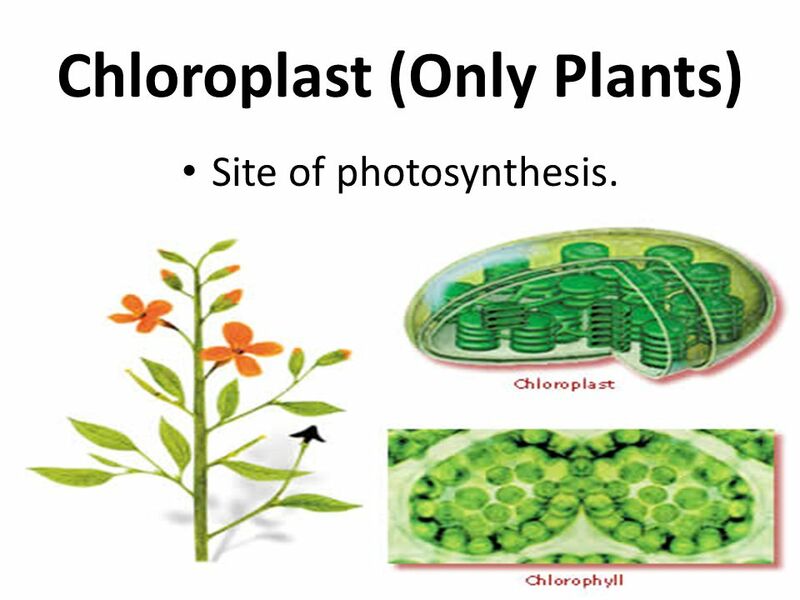 * Plants have BIG water vacuoles! 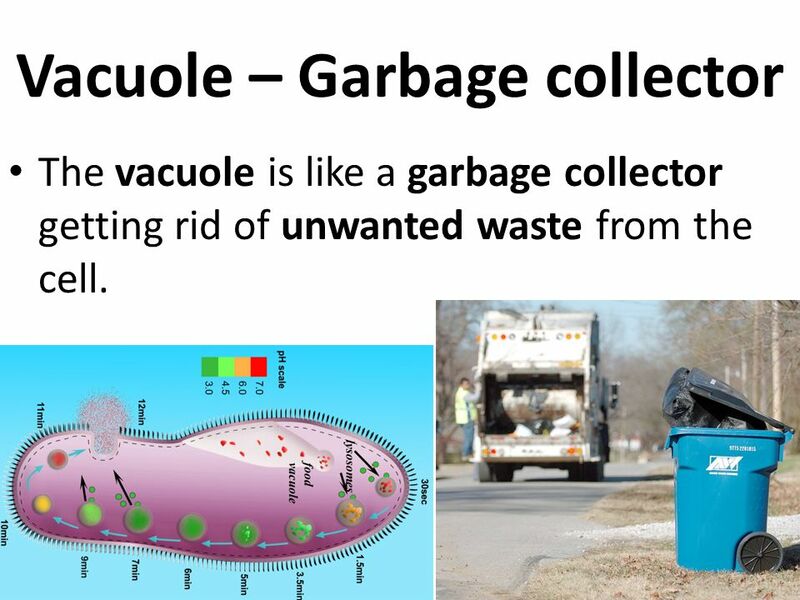 The vacuole is like a garbage collector getting rid of unwanted waste from the cell. 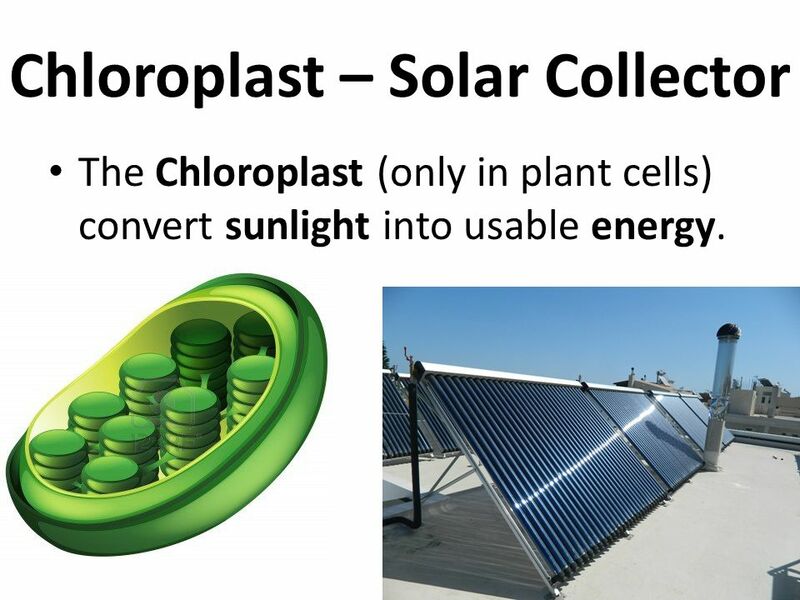 The Chloroplast (only in plant cells) convert sunlight into usable energy. 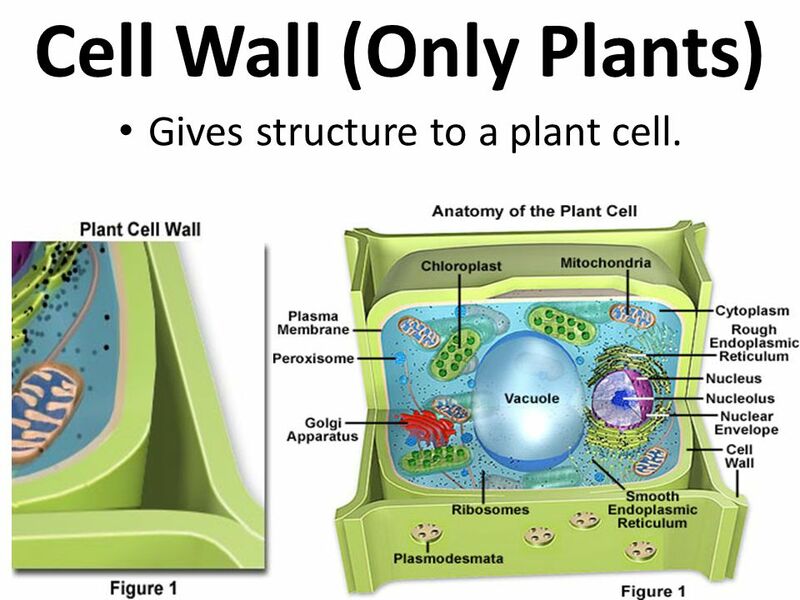 Gives structure to a plant cell. 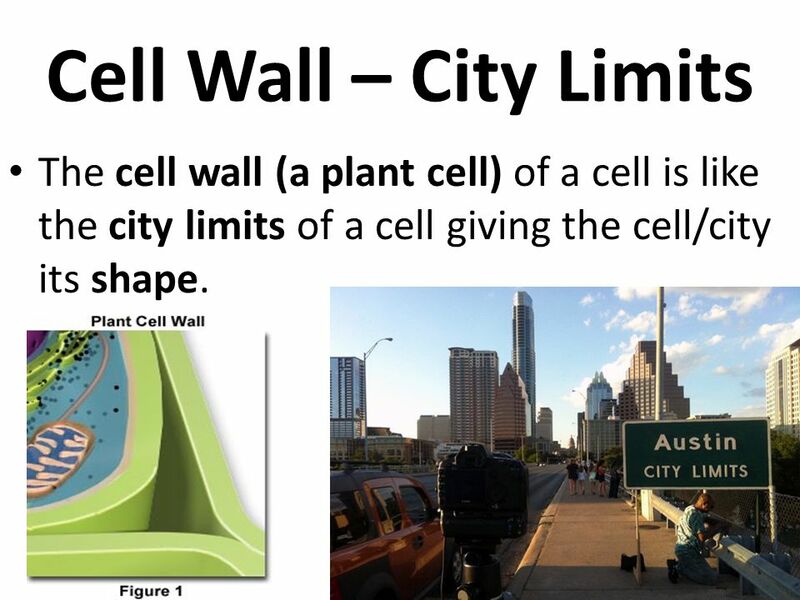 27 Cell Wall – City Limits The cell wall (a plant cell) of a cell is like the city limits of a cell giving the cell/city its shape. Functions of Cellular Organelles and Structures. The Cell… Is the smallest unit of life. It is much like a factory. Each organelle functions like a department. Cell Structure & Function. 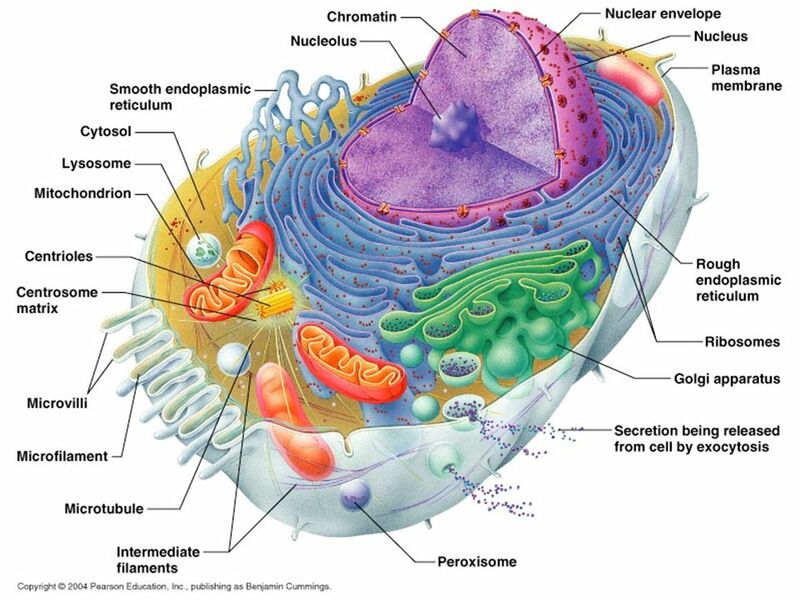 Cell Theory All living things are made up of cells. 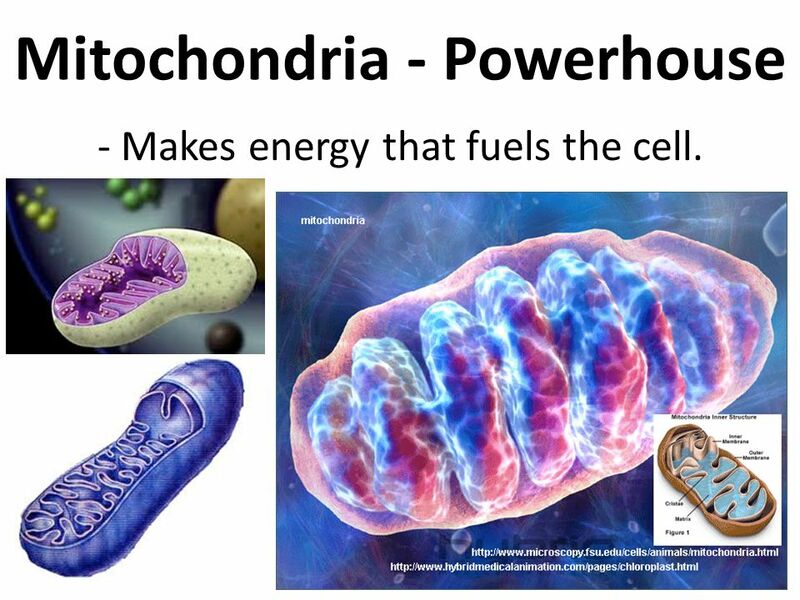 Cells are the smallest working units of all living things. All cells come.  Endoplasmic Reticulum (E.R. ): Smooth and rough. Golgi Apparatus Nucleus with chromosomes Cell Organelles.